Please join us on March 5th as we partner with HandsOn San Diego to give back to the seniors in our community. 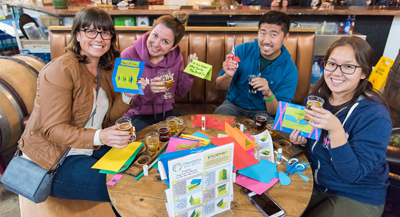 We'll be creating pop-up cards to celebrate birthdays, Mother's Day and Father's Day for Serving Seniors, a San Diego-based nonprofit that provides programs and services for older adults who are living in poverty. All supplies to create these customized cards will be provided. In celebration of International Women's Day the same week, we'll be collecting donations of travel size toiletries and new socks for Rachel's Women's Center that locally serves the homeless and very low income. Register Below by "buying" a free ticket so we know who is coming. Thanks. RSVP: Open to family, including children with parental supervision, and friends - please reserve a spot using the BUY button below! Thanks! Click here for Free tickets!! !